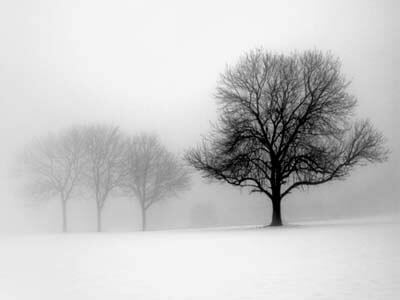 The frightful conditions experienced during winter could be very delightful for your trees. However, a winter season has the potential of destroying your trees because trees are usually susceptible to injuries during such cold moments. The following list is made up of the 5 biggest threats that might harm your trees during this winter period. The tips also give a brief explanation on how to ensure that your trees thrive for the oncoming spring. Young trees are usually very thirsty because they are still growing. Water plays a very significant role during this growth stage of trees. It is therefore advisable that you water your young trees regularly until the tree is mature. During winter, precipitation levels are low and consequently, trees might be thirsty’. It is therefore recommended that you water your trees thoroughly just before winter sets in so as to ensure continuous growth. Doing this will ensure that your trees remain healthy. Mulching refers to a process mostly used in agriculture so as to help plants reduce loss of moisture. During winter, all parts of the tree might go dormant because of the cold, yet the roots remain the first victims of this harsh cold. The location of roots make them more susceptible to freezing and frosting. To help protect your trees, it is important that you insulate them. The best insulation would be through the use of composted mulch that will act like a scarf of between the roots and the harsh external environmental conditions. Mulching will keep your tree warm and insulated, and it will also help in moisture regulation. For the best results, apply three inches of mulch within a radius of three feet around the tree leaving a three inch gap near the stump. During winter, snow is fun to play with, for instance for sledding, snowball fighting or building snowmen. However, this snow always impacts badly on your trees. Depending with the type of your trees, brushing off snow from the tree will go a long way in protecting the tree. Trees prone to damage during winter are those that have narrow upright branches with multiple stems. This is because heavy accumulations could tear the trees apart. It is therefore advisable that you clean up your tree after a snowfall so that snow does not accumulate. You should be gentle on the branches so that you do not cause breakages. We highly recommend the removal of snow accumulation using a soft broom or your hand and sweeping towards the trunk. Sweeping downwards towards the stump might break the branches or stems. Shaking branches to shed off the snow should also be done gently so as to avoid breakage. Is your parking yard or house near trees? Trees often look beautiful during spring and summer but can be disastrous during winter. This is because the cold conditions result in stress on the trees hence resulting in breakage. Falling limbs could fall on your car or on the roof of your house. If there are tree branches and limbs that hang above your car or house or any other prized possessions, it is advisable that you brace or cable them just before winter. However, if you realize that the branches are dead, it is advisable that you cut them down altogether. In the northern regions, most people use salt to de-ice driveways and walkways during winter. This, however, usually has a negative effect on the health of your trees. This salt is usually absorbed by the roots of the trees hence ruining their health which in turn results in browning of the leaves during summer and spring. In order to avoid this problem, it is important that you use de-icing alternatives that are environmentally friendly. Such alternatives include calcium chloride and TruGreen’s Ice Melt, magnesium chloride and potassium chloride. Alternatively, you could construct a simple snow fence so as to defend the tree. As simple as it may sound, this simply refers to a barrier made from any fencing material or chicken wire mesh round the tree such that snow does not fall on the area around the stump of the tree. Professionals also encourage people to flush the tree pit using a lot of water during spring.